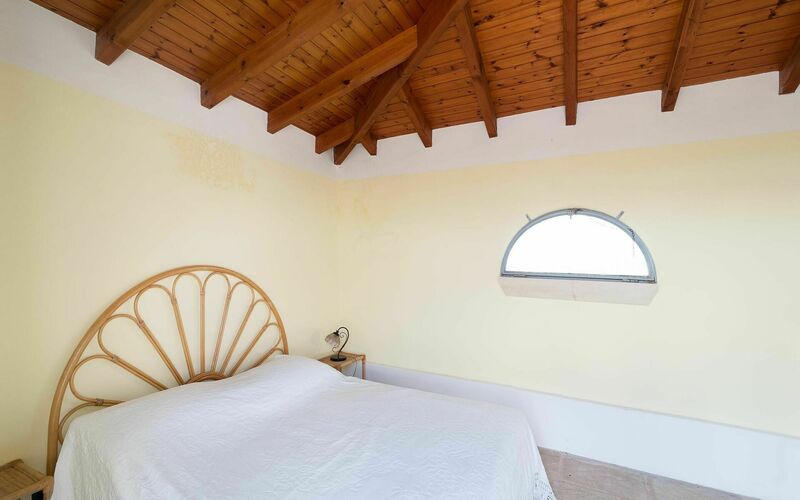 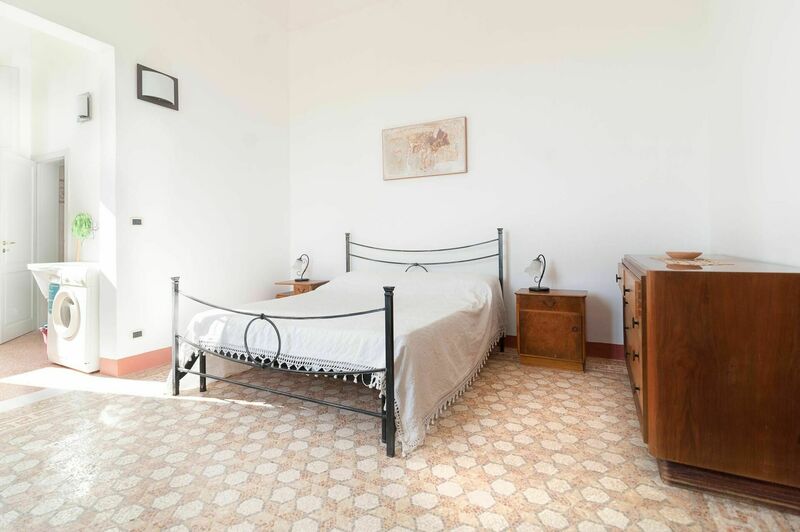 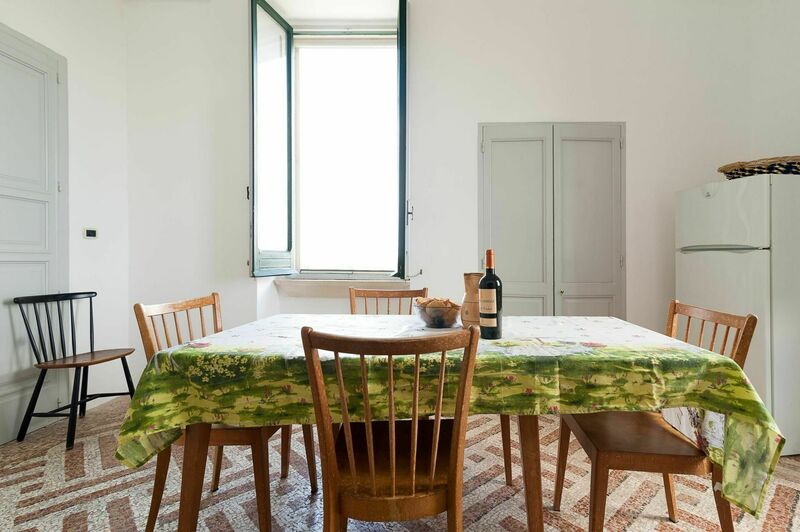 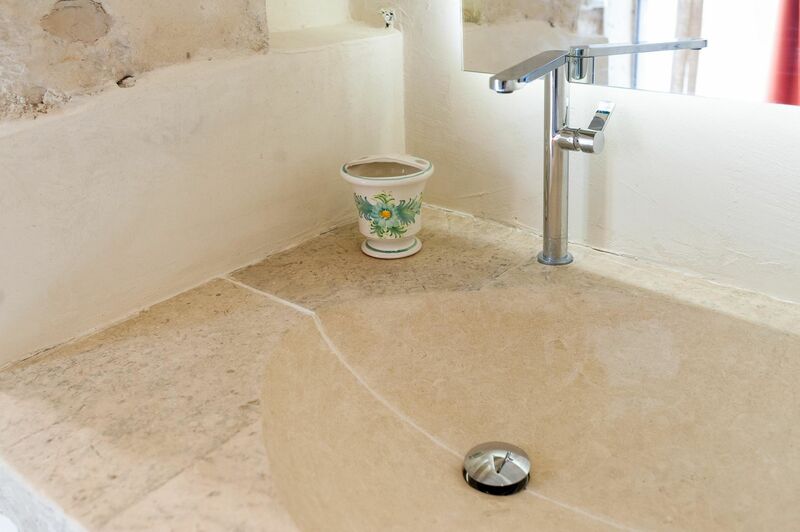 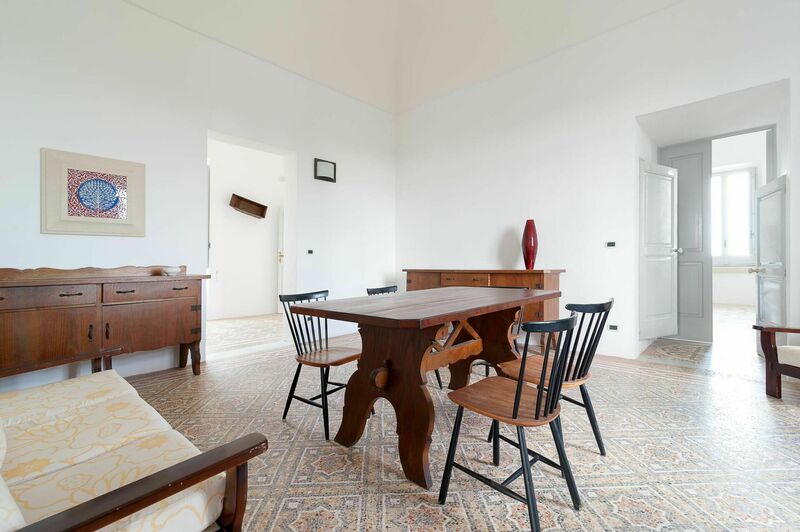 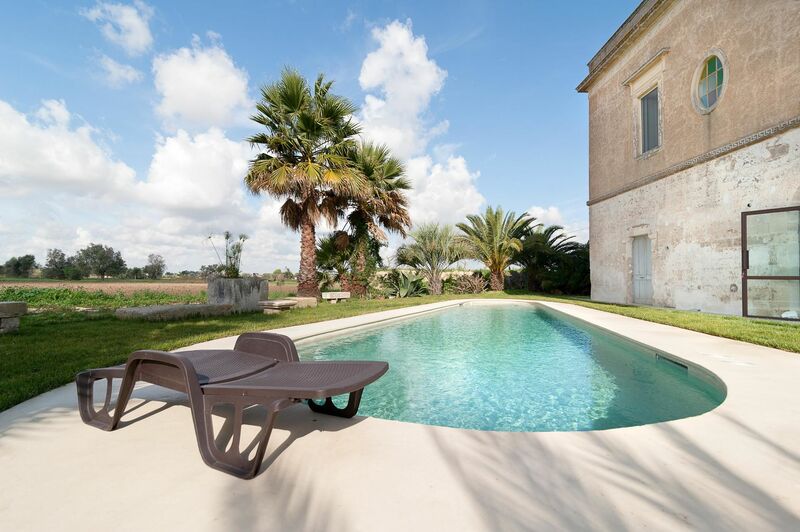 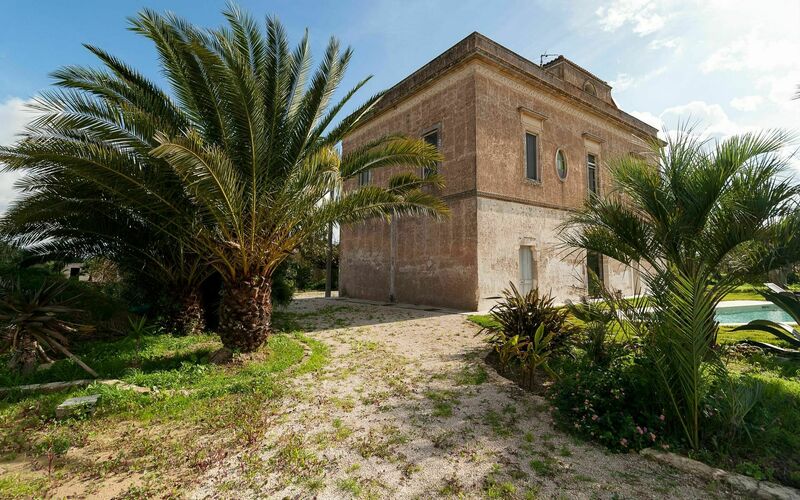 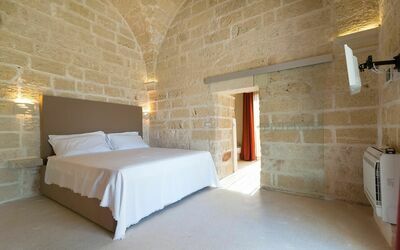 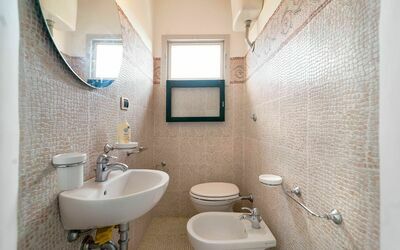 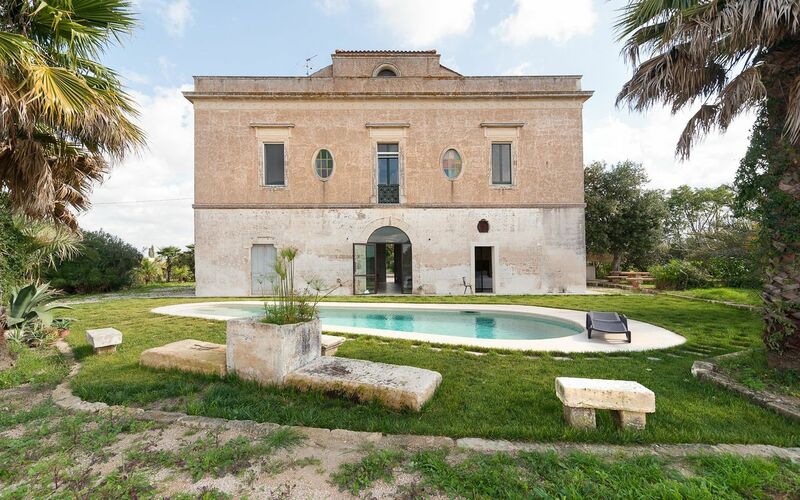 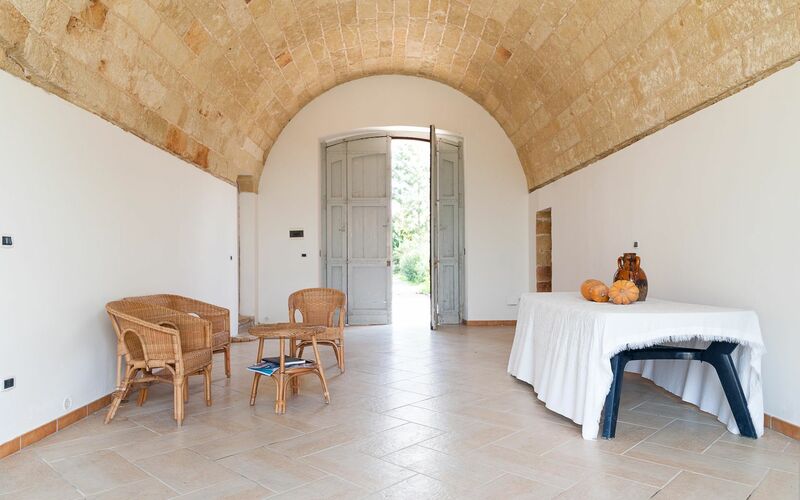 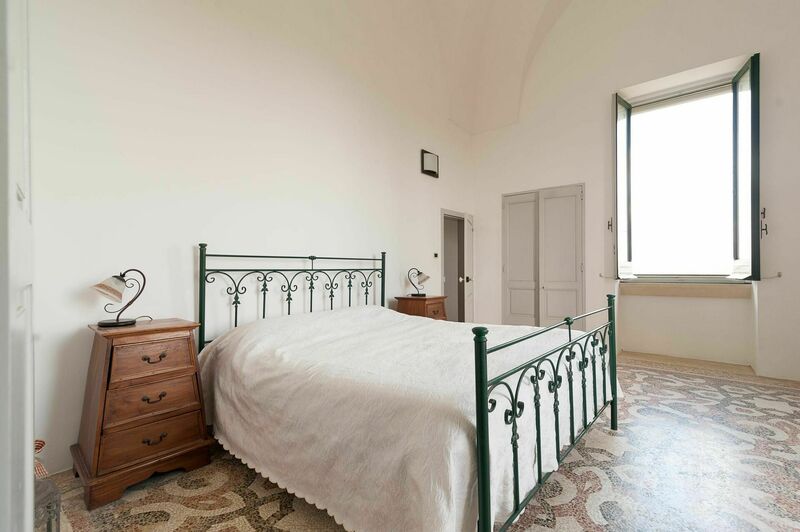 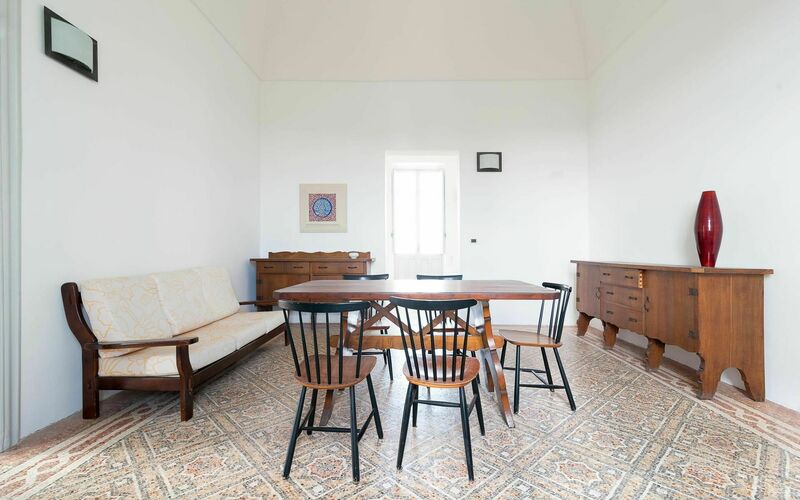 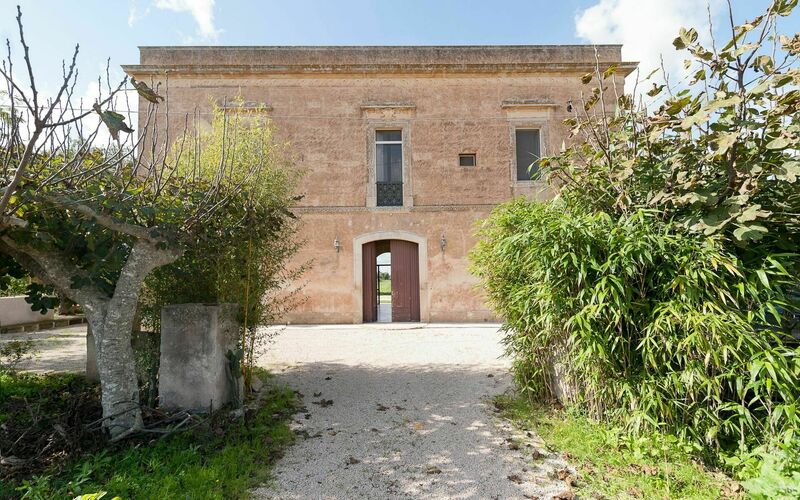 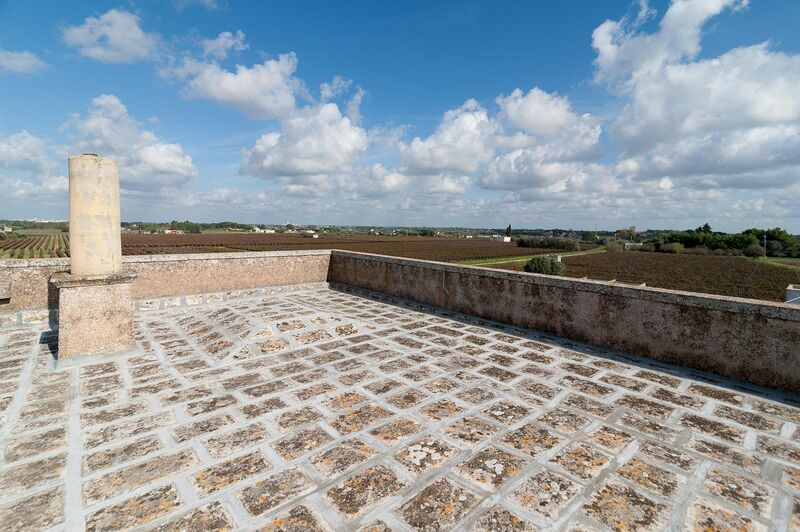 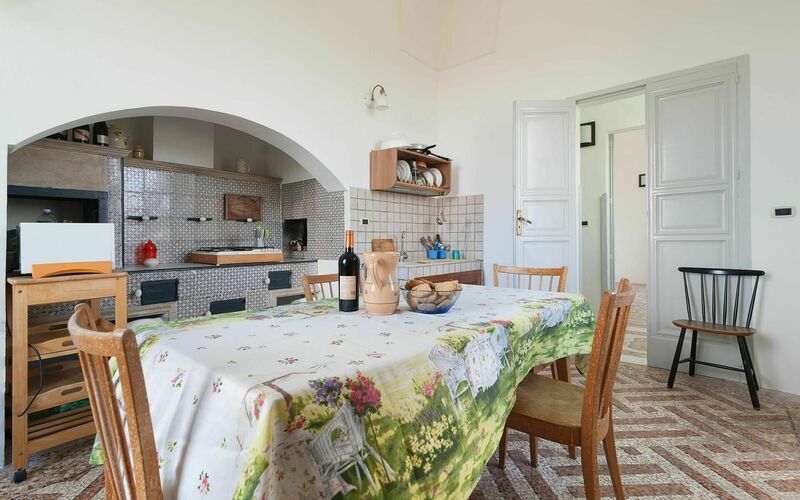 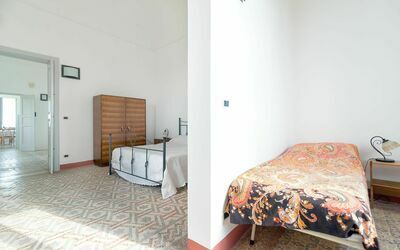 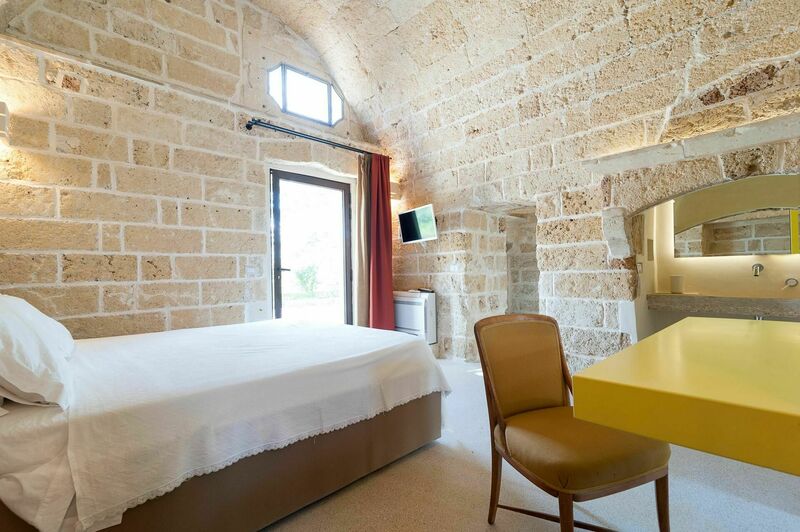 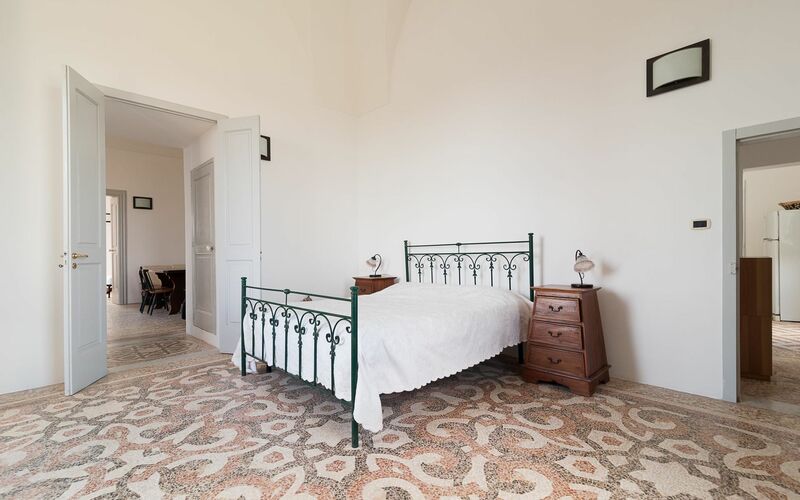 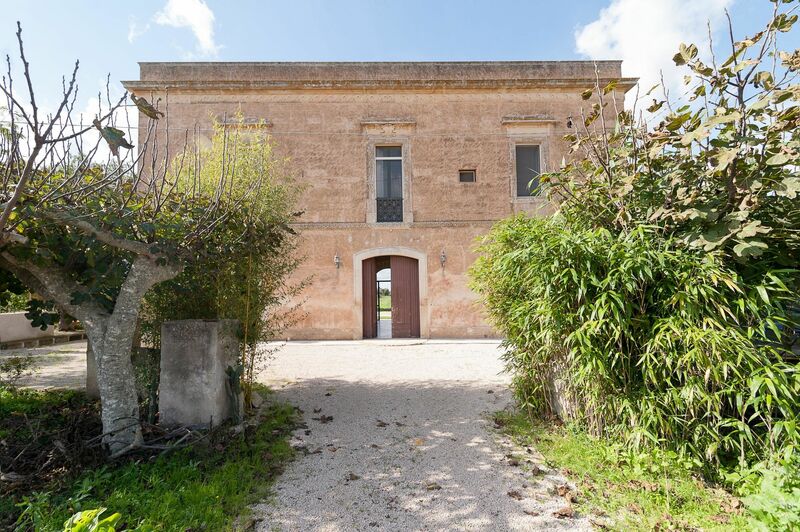 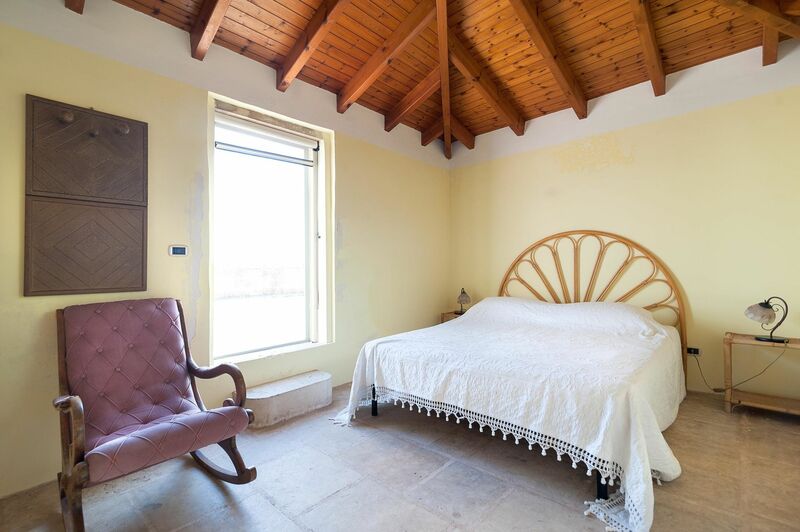 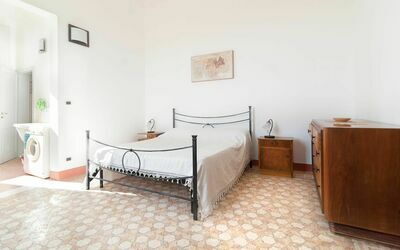 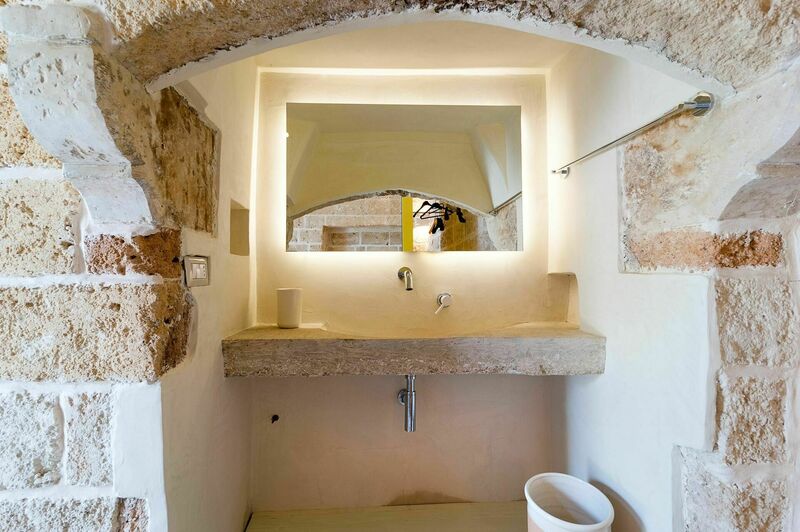 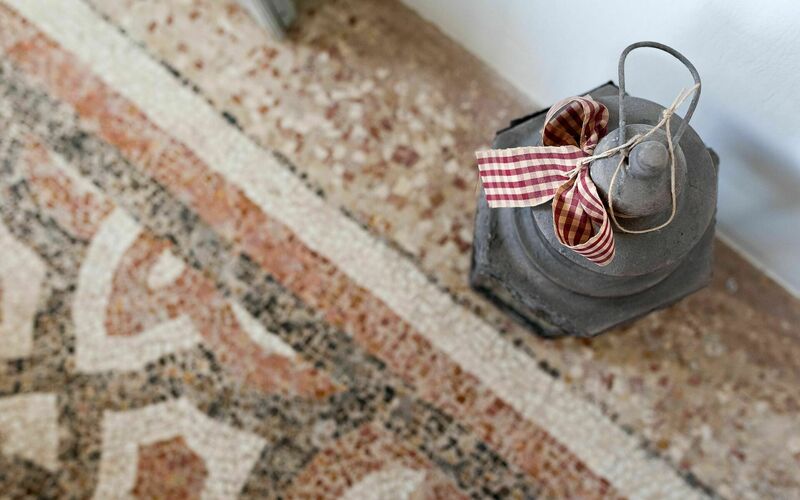 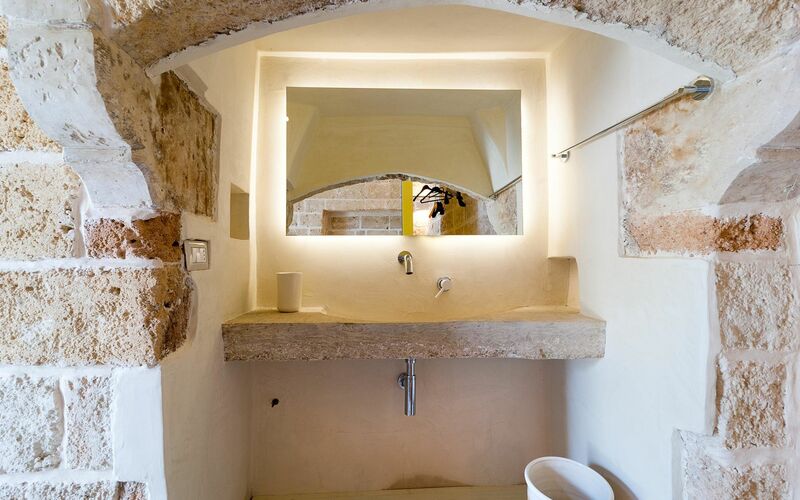 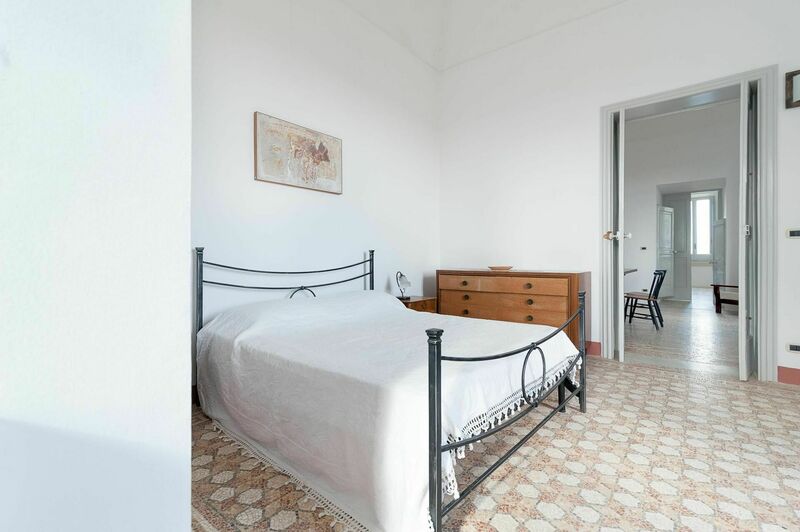 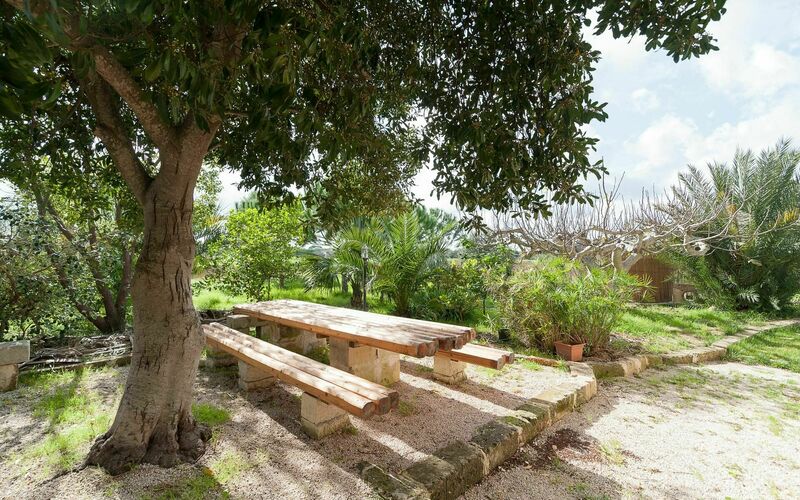 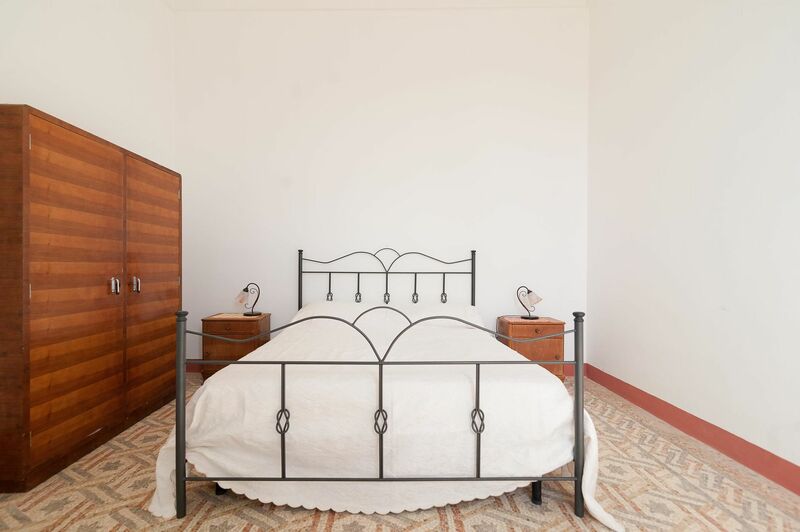 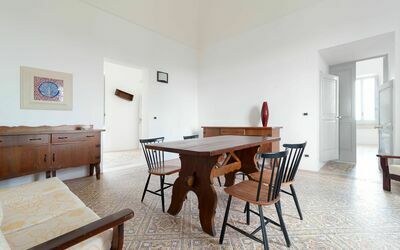 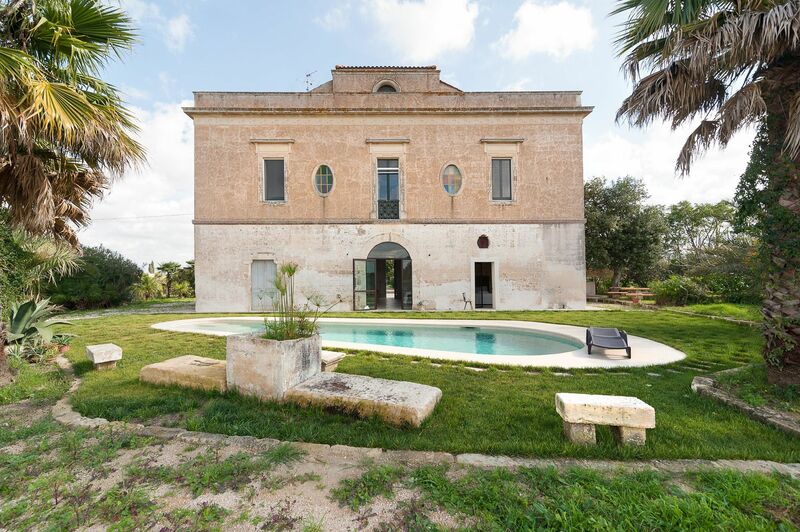 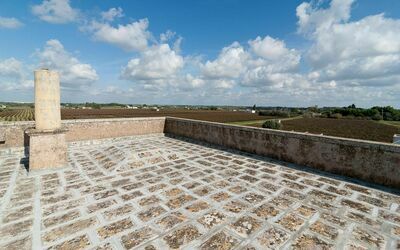 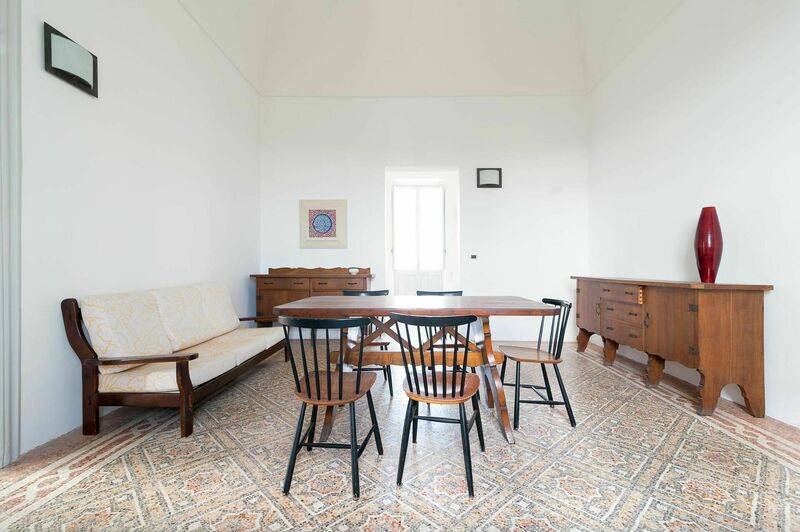 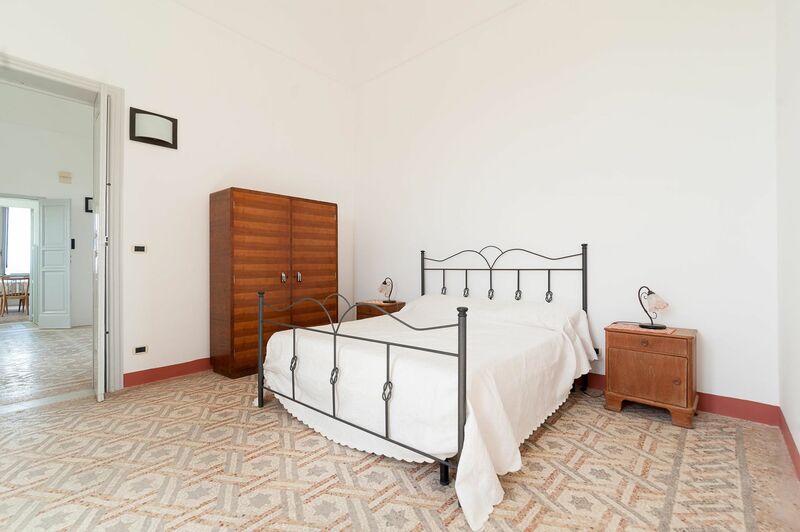 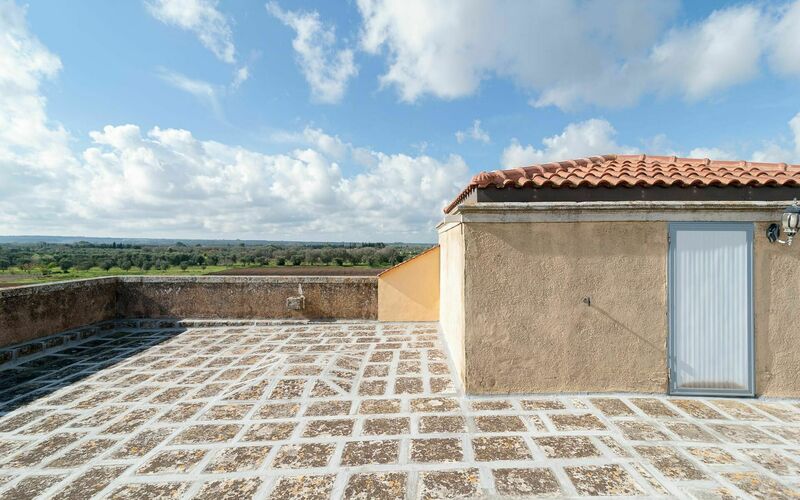 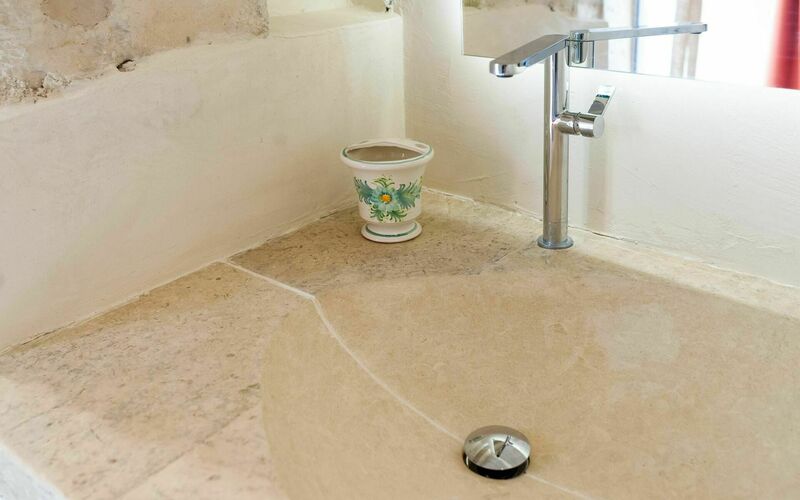 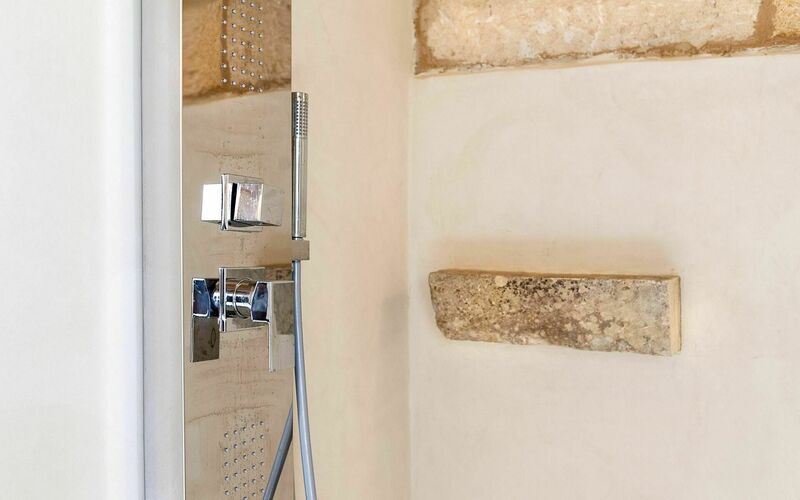 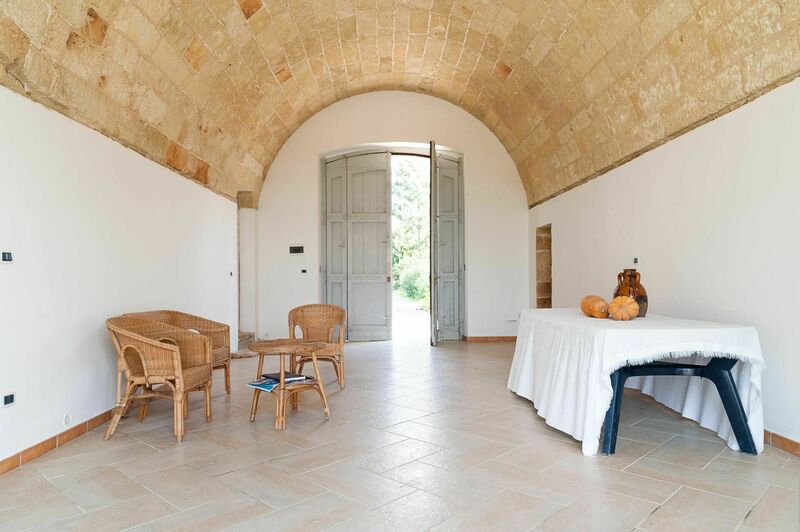 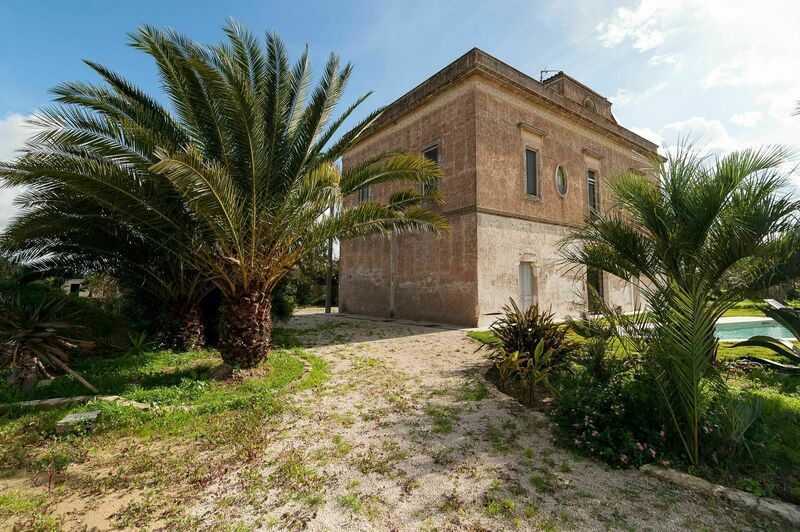 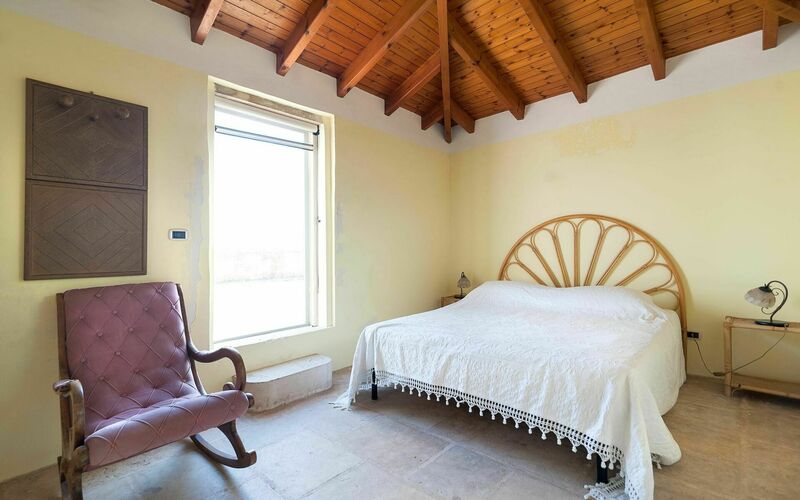 This beautifully restored farmhouse, which dates back to the 1880s, is located in Cutrofiano. 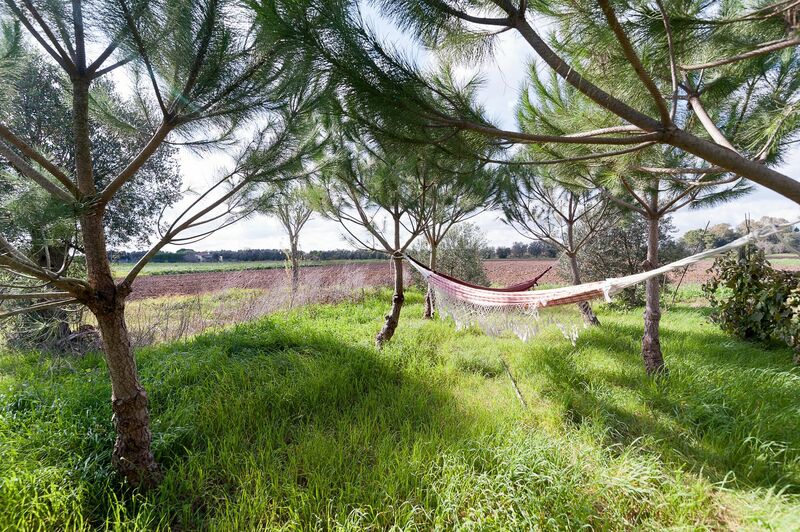 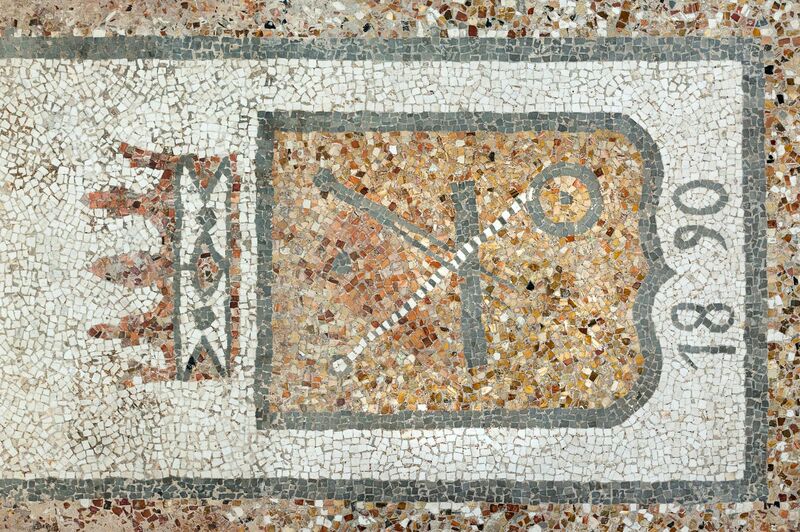 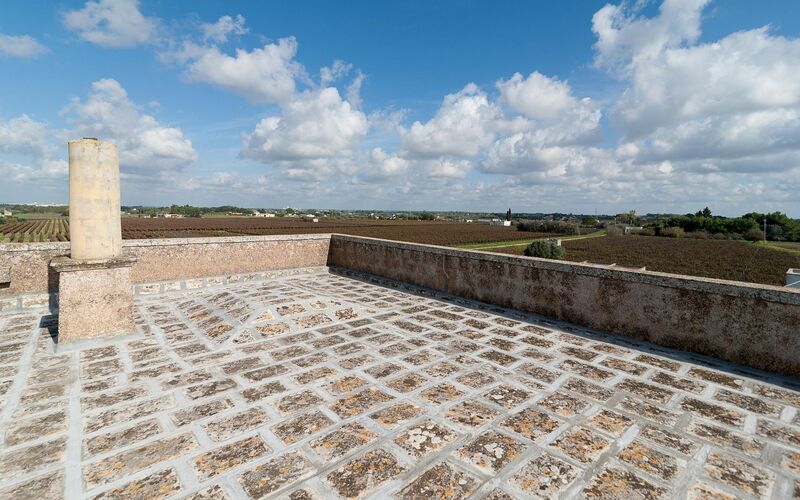 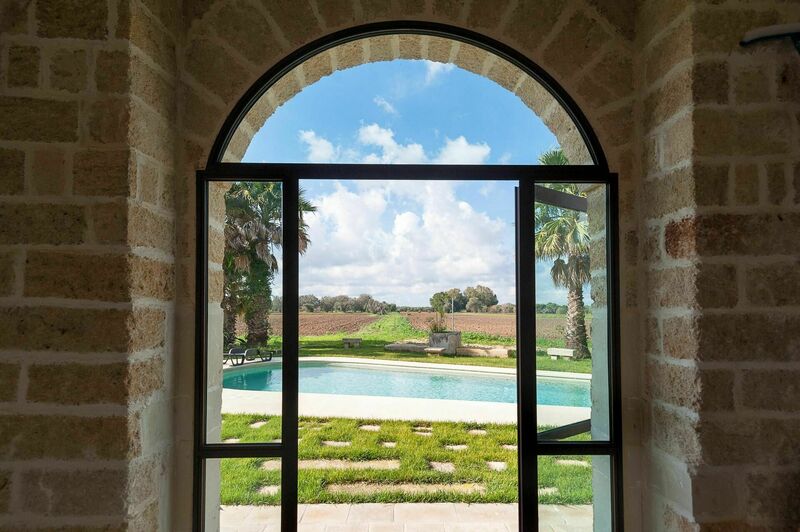 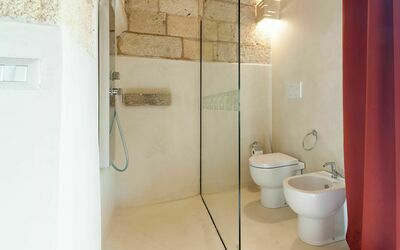 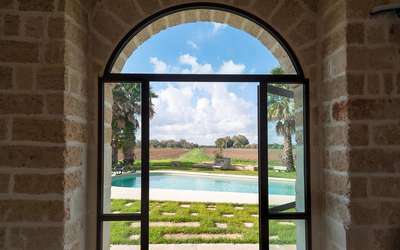 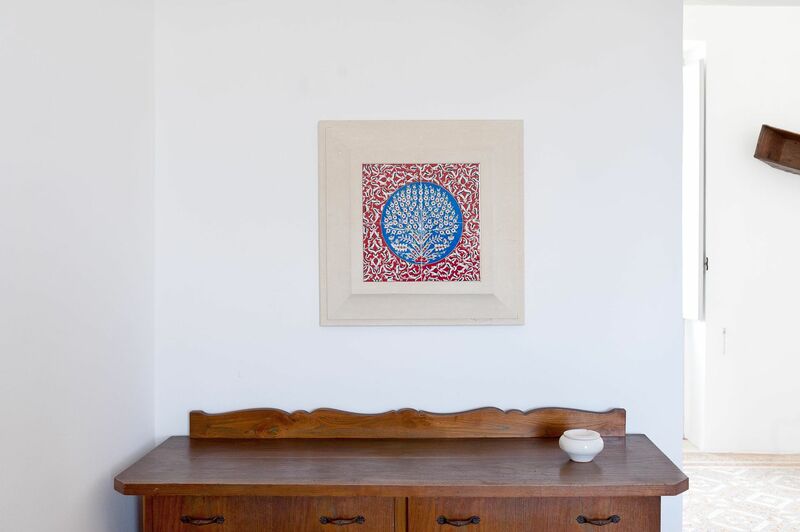 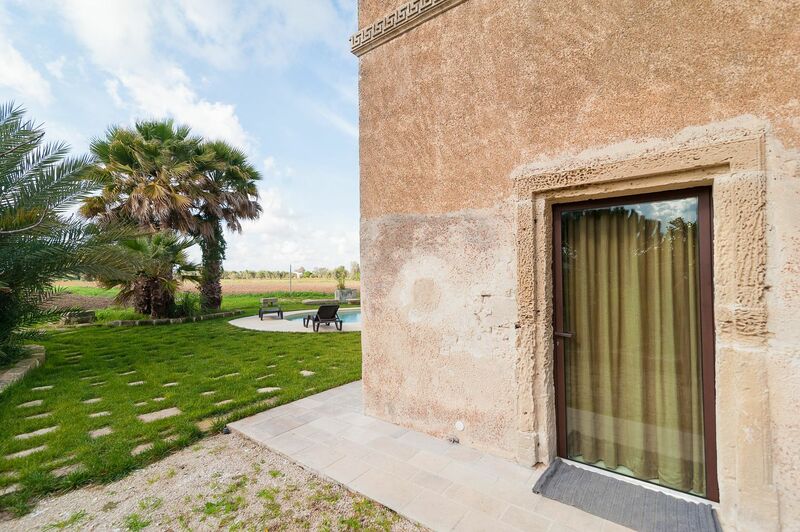 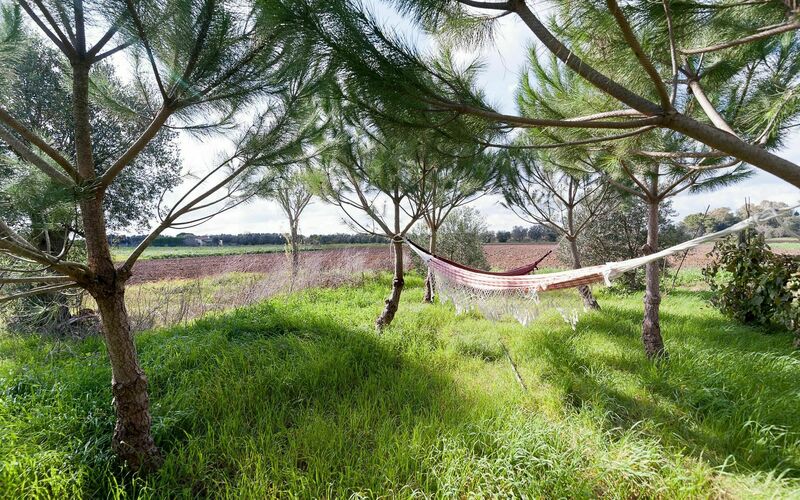 The entire property covers about 30,000 square meters of vineyard and olive grove, as well as a private pool. 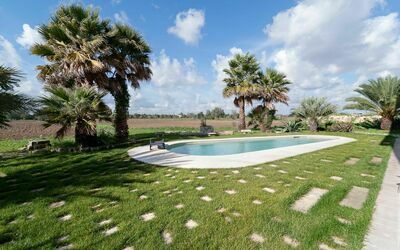 This farm is the perfect place for guests to enjoy peace and privacy, meals, and a refreshing dip in the pool. Commercial services and public transit are less than 2km away, while the sea is about 18km away. 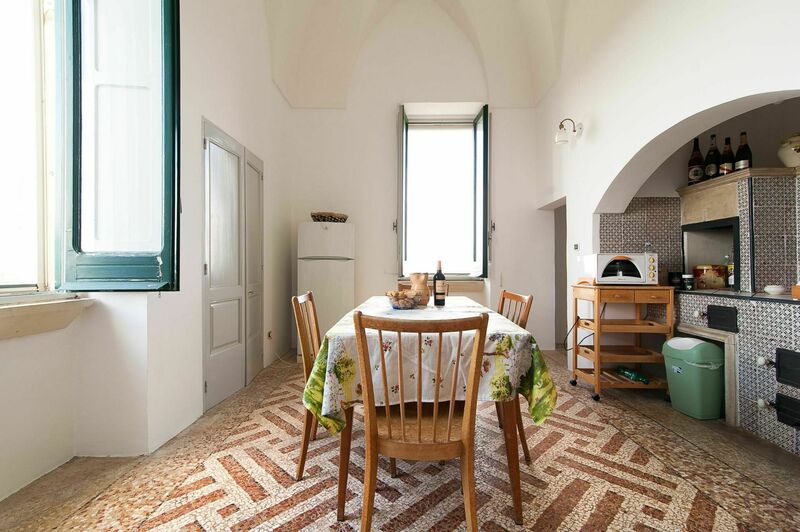 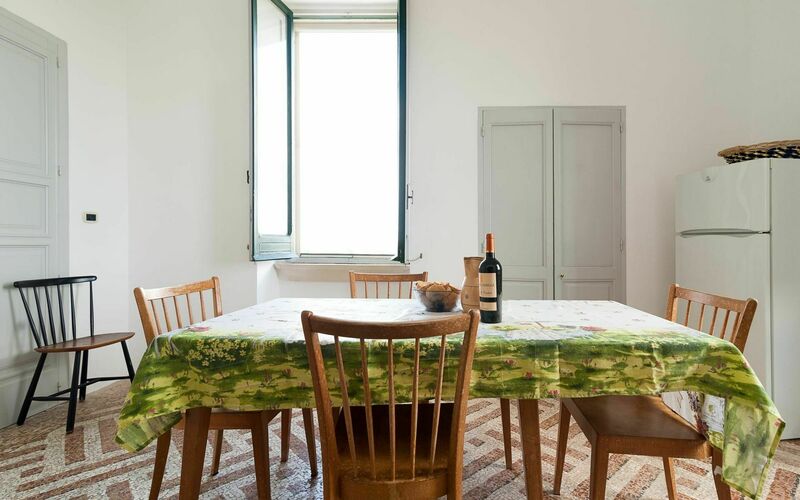 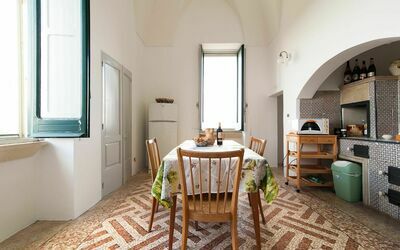 This wonderfully restored farmhouse is perfect for large groups and families looking for a taste of authentic Italian life. 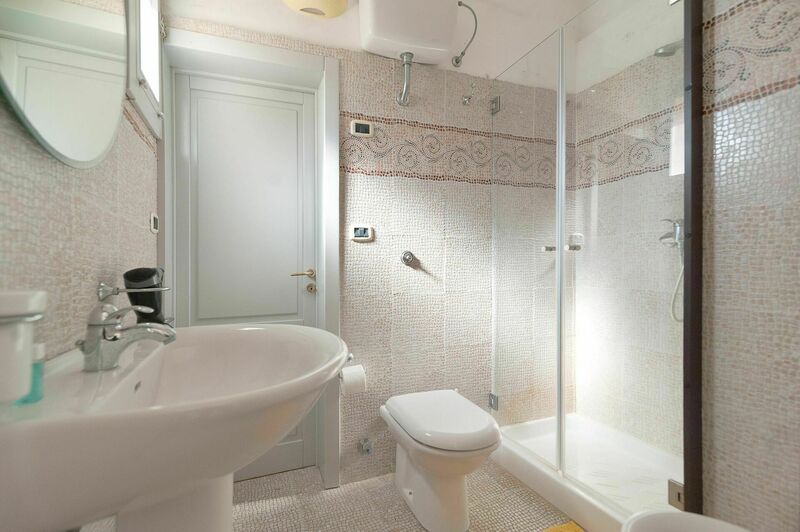 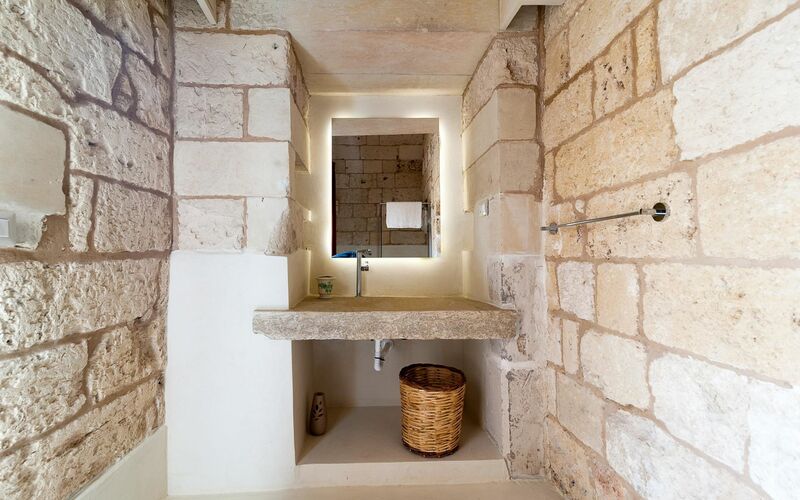 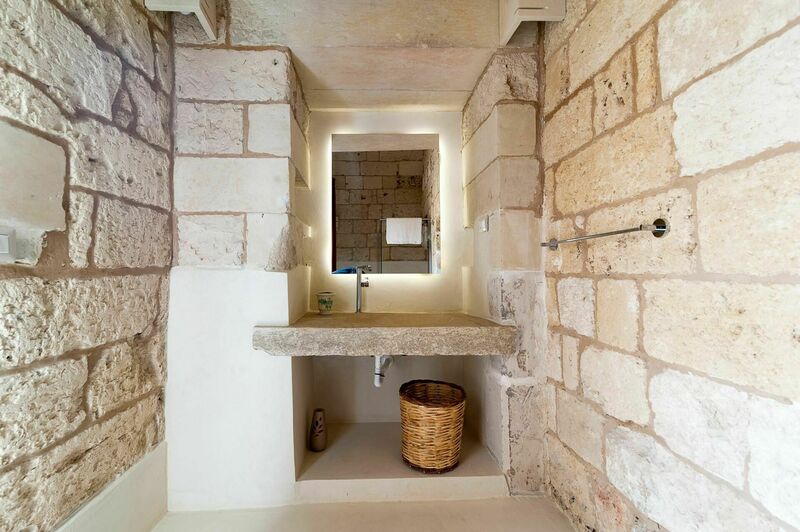 This interior is a charming and welcoming blend of traditional Italy and modern day comforts. The house can sleep up to 13 guests and has 6 bedrooms and 4 bathrooms. 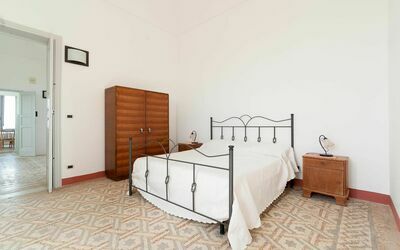 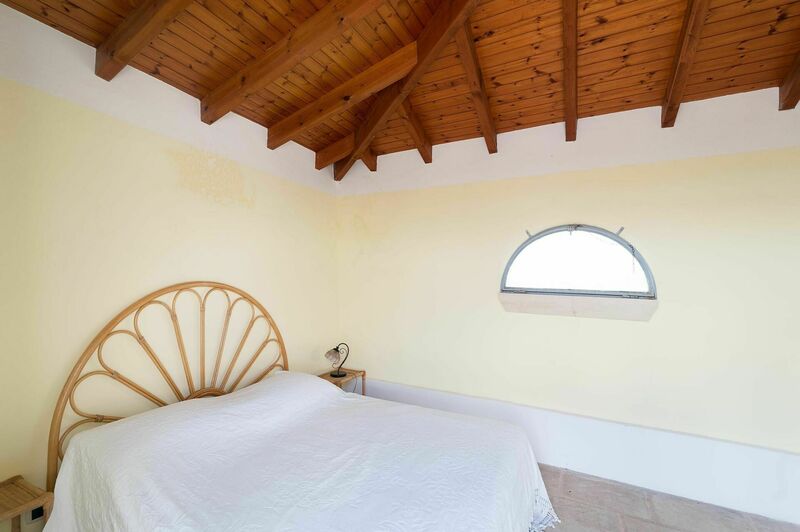 There are 5 double bedrooms, and a room with a double and single bed. The kitchen fully equipped maintains its old fashioned charm, and the dinning set seats 6 guests. 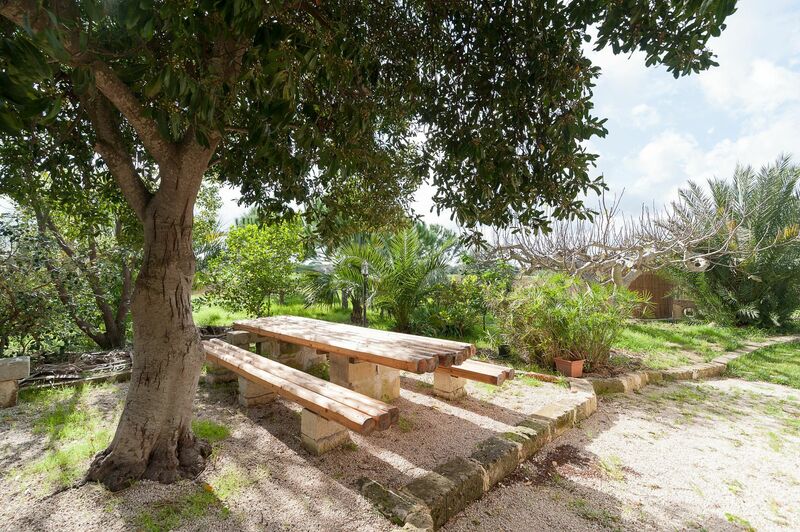 Equipped with: hammocks, a/c, hair dryer, linens upon request, barbecue, outdoor shower, washing machine, garden terrace with panoramic views , TV, fans, WIFI internet, mosquito nets, parking. Jan 05, 2019 Jun 01, 2019 Any 7 € 273 n.a. Jun 01, 2019 Jun 15, 2019 Any 7 € 378 n.a. 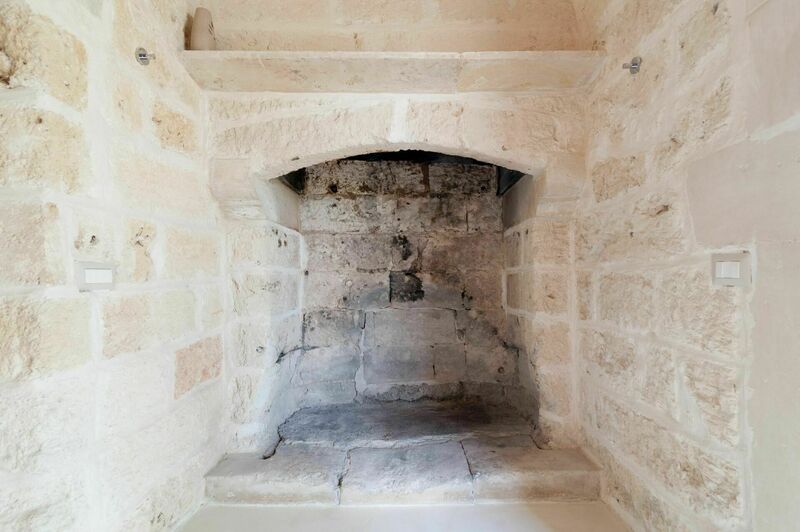 Jun 15, 2019 Jun 22, 2019 Any 7 € 406 n.a. 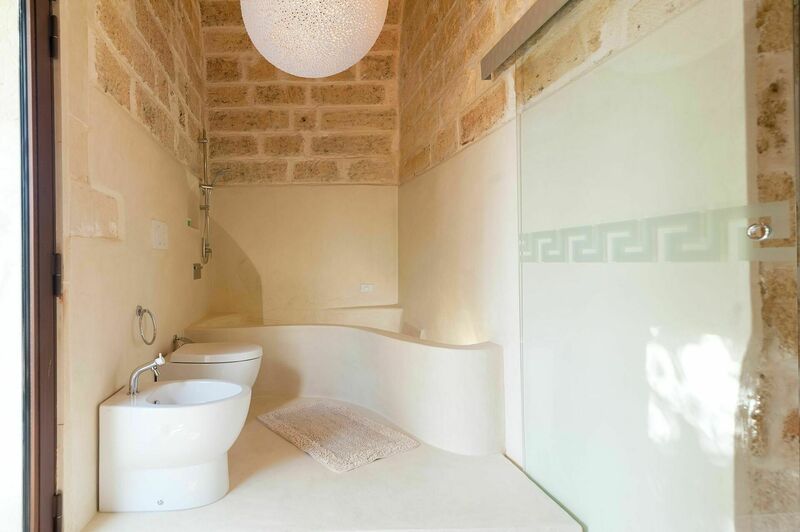 Jun 22, 2019 Jul 06, 2019 Any 7 € 477 n.a. 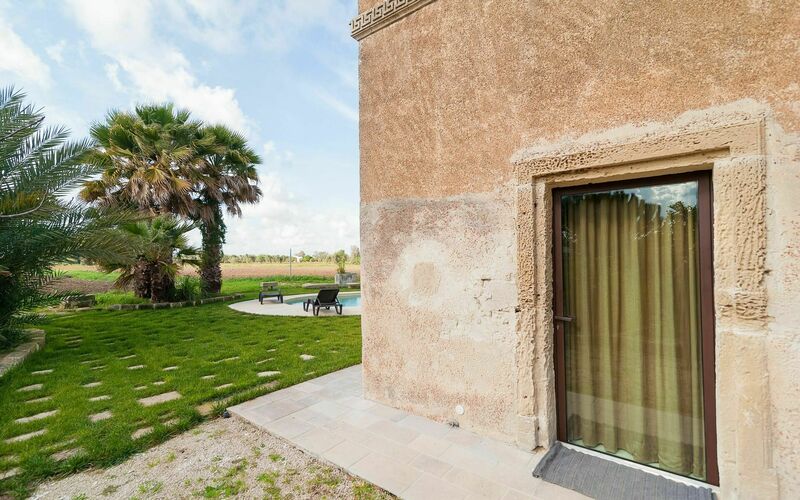 Jul 06, 2019 Jul 13, 2019 Any 7 € 493 n.a. Jul 13, 2019 Jul 20, 2019 Any 7 € 538 n.a. Jul 20, 2019 Jul 27, 2019 Any 7 € 592 n.a. 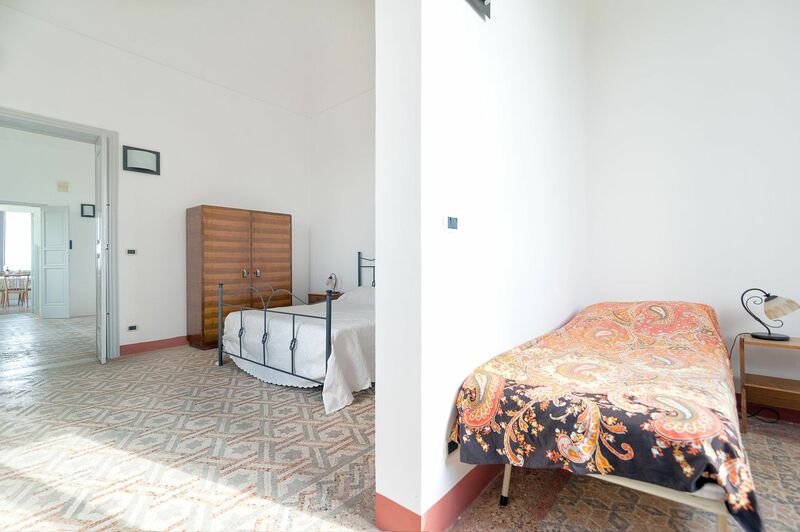 Jul 27, 2019 Aug 03, 2019 Any 7 € 732 n.a. 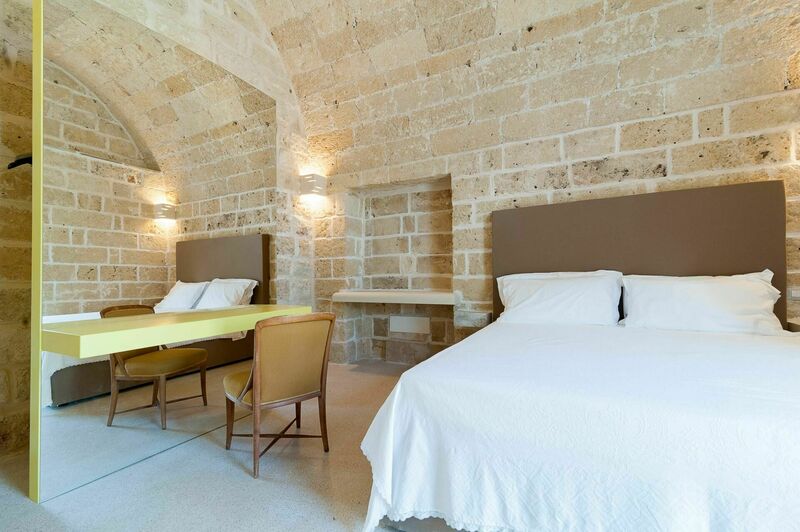 Aug 03, 2019 Aug 10, 2019 Any 7 € 757 n.a. Aug 10, 2019 Aug 24, 2019 Any 7 € 916 n.a. Aug 24, 2019 Aug 31, 2019 Any 7 € 538 n.a. 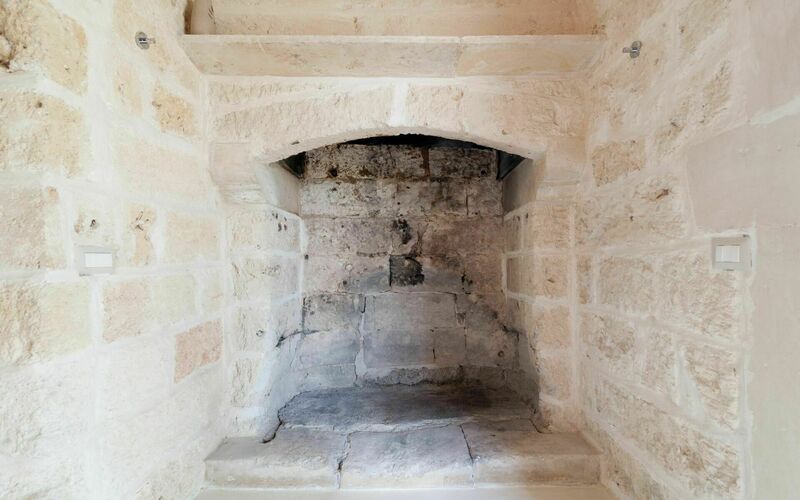 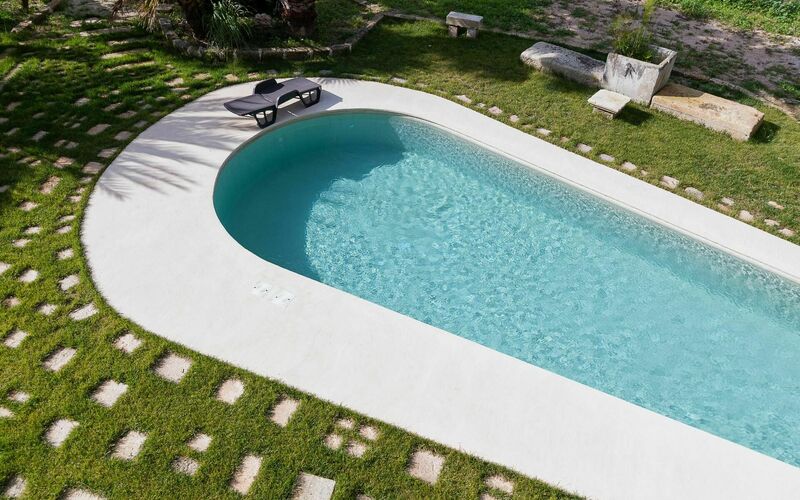 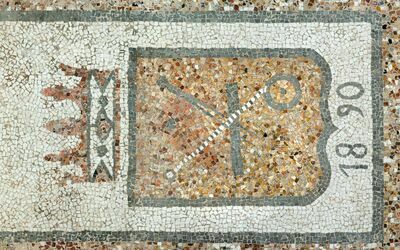 Aug 31, 2019 Sep 07, 2019 Any 7 € 450 n.a. Sep 07, 2019 Sep 14, 2019 Any 7 € 354 n.a. 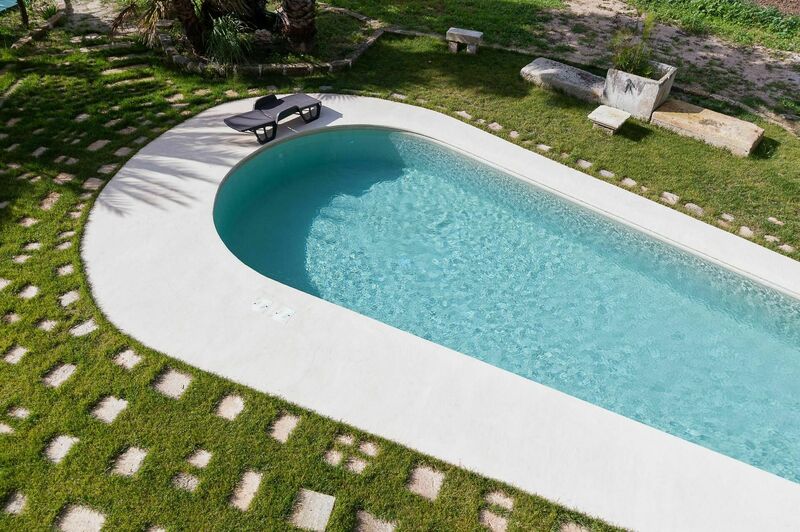 Sep 14, 2019 Sep 21, 2019 Any 7 € 300 n.a. Sep 21, 2019 Jan 04, 2020 Any 7 € 273 n.a.